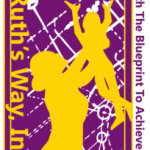 The goal of Ruth’s Way is to empower our female youth by showing them that regardless of their past or current situation, they CAN achieve successful futures! Our mission is to help young girls achieve long-term success as ethical, virtuous women of society. Through our “Blueprint-To-Achievement”, the girls are empowered by learning how to control and change their own destiny. We teach our girls how to properly navigate through life’s bumps and bruises so that they learn how to become effective problem solvers as they mature into productive citizens. At the same time, we teach our female youth and their families how to maintain healthy self-reliance and interdependence so that they are properly prepared to deal with future adversities as a unified force. Through the elements of Family, Friendship, and Faithfulness, we are blossoming our girls into virtuous women! We encourage our youth to develop a new, value-based mindset, which helps to sow the seed of blossoming women! The foundation of our 3-F’s Value-Based System, (Family, Friendship, and Faithfulness), was derived from the values and morals of the Biblical story of Ruth. Ruth’s entire journey was fueled by her faithfulness to her mother-in-law and her determination to preserve her family connections. Ruth embraced the value of Family, Friendship, and Faithfulness; and she honored a moral-system that was based on great Love, Humility, and Respect. Most importantly, the core of this value system was family cohesion and preservation. We believe that a young girl who has truly embraced these values will no longer maintain a desire to repeat negative behaviors which are contradictory to these values.